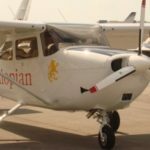 Angolan Air Force - Africair, Inc. In 2012 and 2013, we successfully equipped the Angolan Air Force’s training academy with 6 new C172’s retrofitted with CENTURION diesel engines. We also supplied a Frasca flight simulator and designed the facility where it is housed. 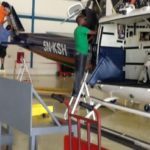 To ensure program success, we provided in-county pilot training and technical support for one year to augment the local technician’s capacity and ensure a smooth transition to the new platform. Our full time employee based in Luanda routinely assists the AAF’s training division with flight training requirements as well.